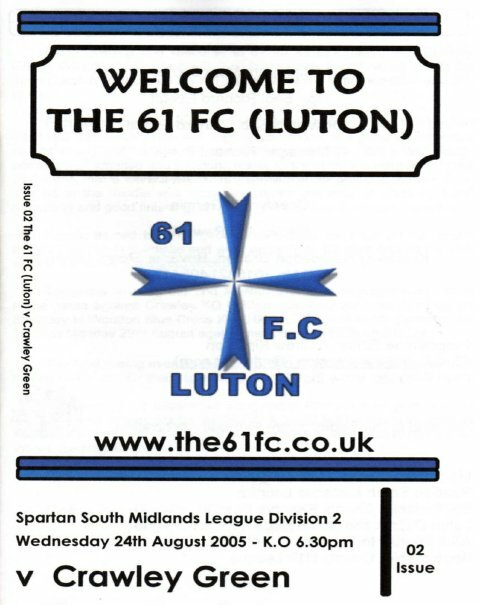 * massive thanks to Leon for his prog info; + from Richard Panter; > from Steven Walker and $ from Jim Moore. 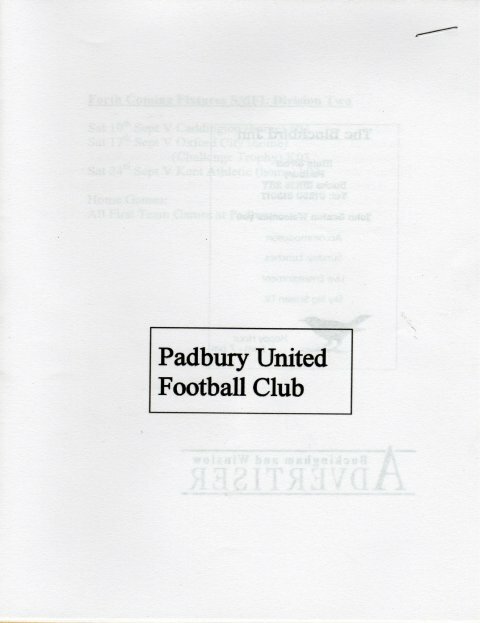 01 - Deeping R* (UCL) v Harrowby Utd (Tues 23/08); 50p; 2*. 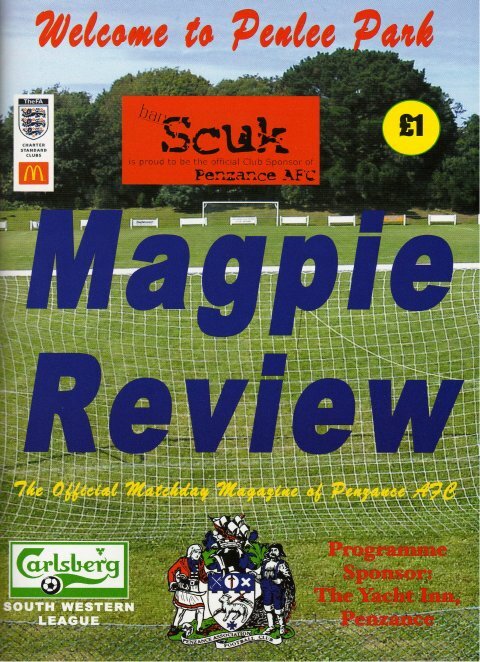 02 - 61 FC* (SSMids) v Crawley Grn (Wed 24/08); 50p; 4*. 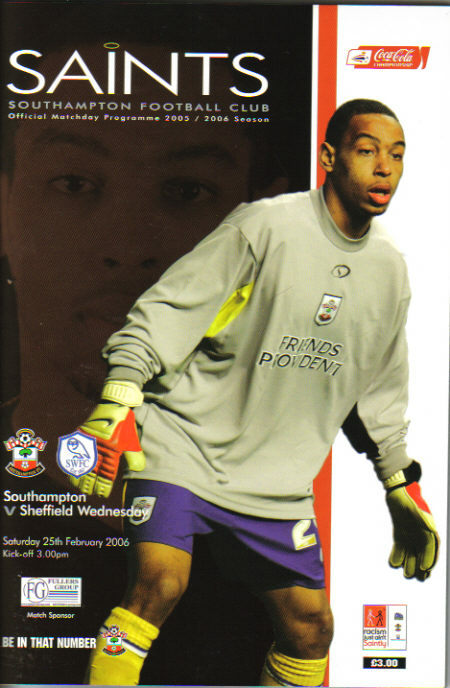 03 - Southampton* (Football Ch) v Crewe (Sat 27/08); 3*. 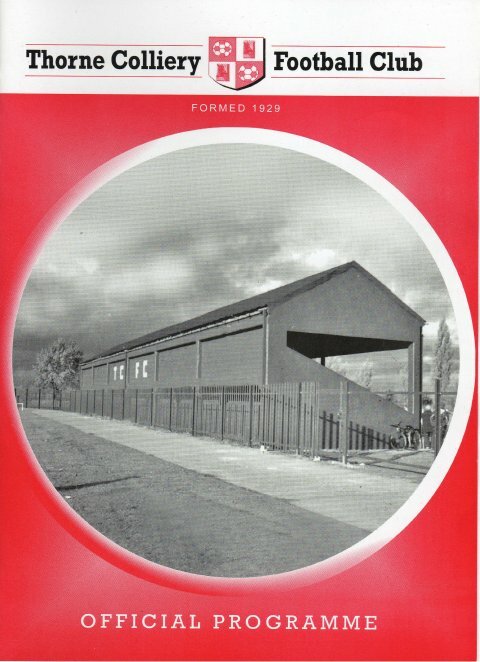 04 - Thorne Coll* (CML) v Askern W (Mon 29/08); £1.50; 3*. 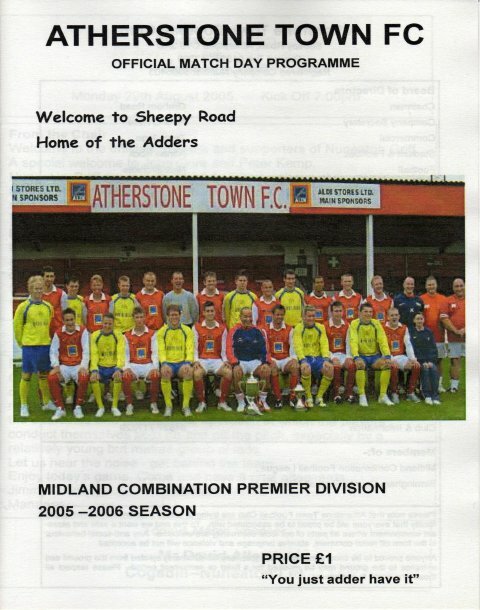 05 - Atherstone* (MCFL) v Nuneaton G (Mon 29/08); 2*. 06 - Yorkshire Main* (CML) v Bentley Coll (Mon 29/08); 3*. 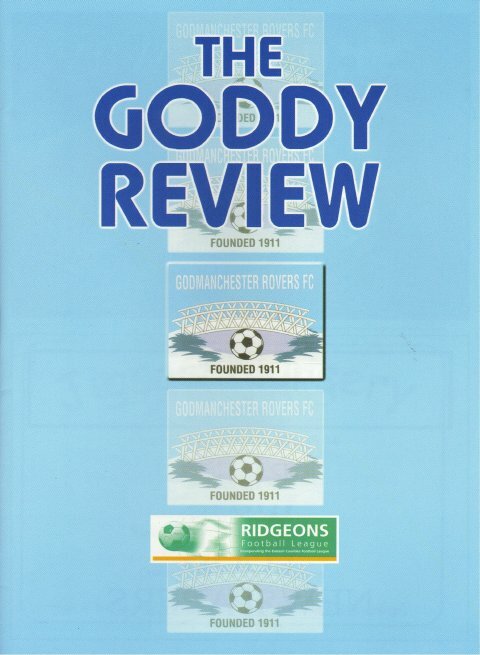 07 - Godmanchester R* (ECL1) v Fulb I (Wed 31/08); £1.00; 3*. 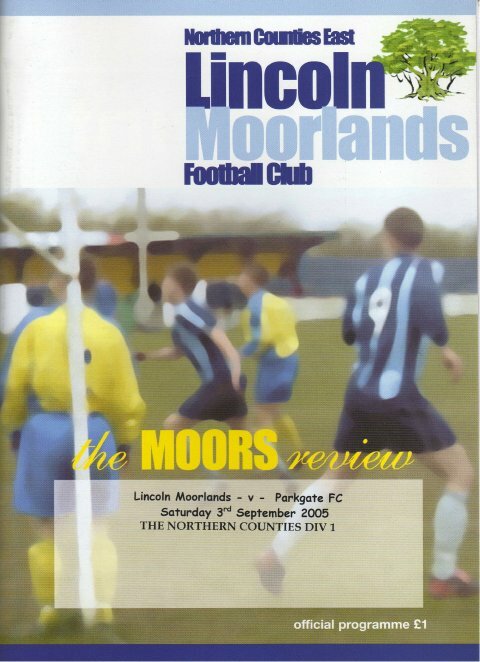 08 - Lincoln M* (NCEL) v Parkgte (Sat 03/09); £1.50; 4*. 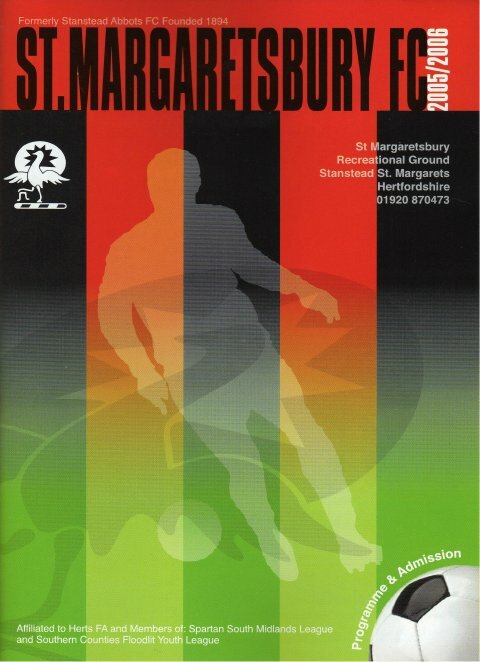 09 - St.Margs* (SSM) v Bill T (FAC1q) (Sat 10/09); FOC; 3*. 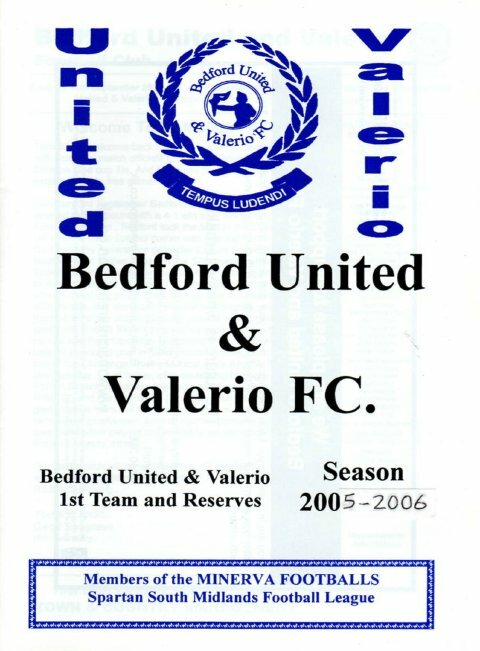 10 - Bedford U* (SSM) v Col H (Div 1Cup) (Tu 13/09); 60p; 2*. 11 - Padbury U* (SSMids) v Oxf C (LgeCT1) (17/08); FOC; 1*. 12 - Penzance* (SWL); 5*. 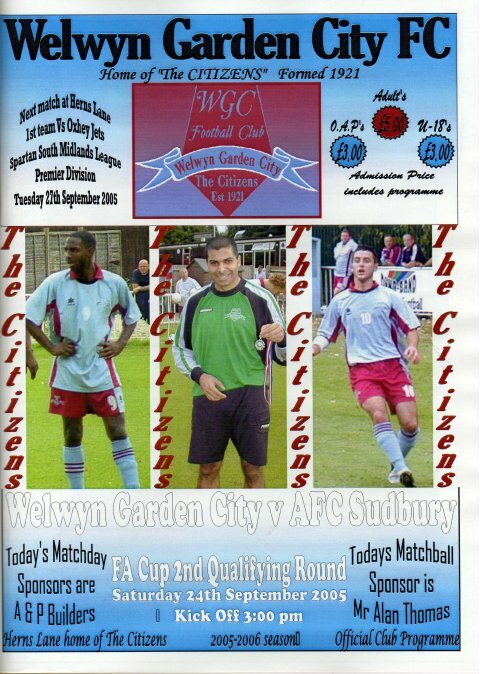 13 - Welwyn GC* (SSMids) v AFC Sud (FAC2Q; w/a; 4*. 14 - Brod W (NCEL) v Black. M (FAV2Q) (Sat 01/10); 40pp w/a; 1*. 15 - Tring Cor (SSML2) v Kings L (Sat 17/09); 12pp; fwa; 2*. 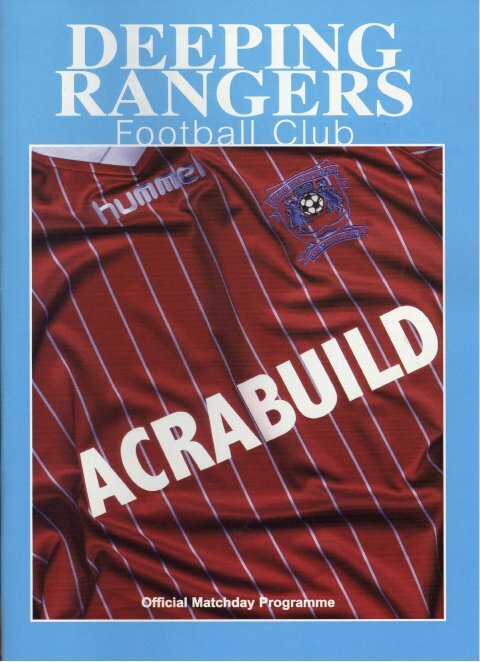 16 - Corby Town+ (Southern League); 4*. 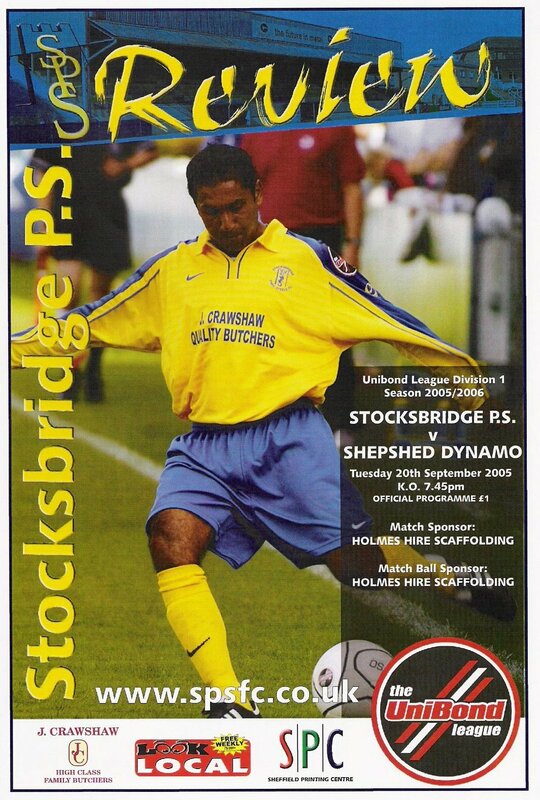 17 - Stocksbridge PS+ (UL1) v Shep Dyn (Tues 20/09); 2*. 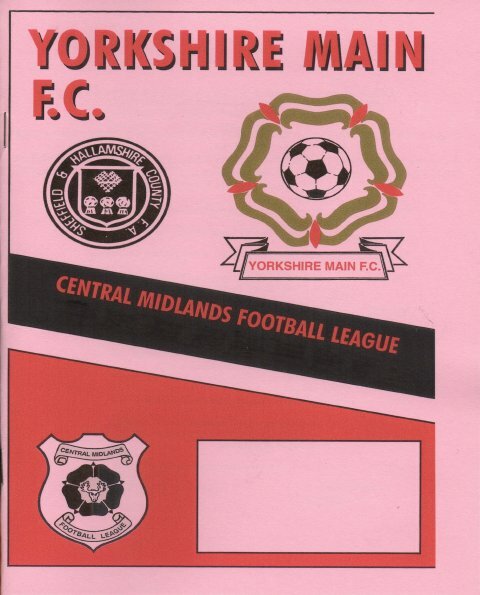 18 - Tipton Tn> (MidAll) v Causeway (Wed 12/10); 28pp; £1; 3*. 19 - Tooting (Ry1) v W'stone (FAT1q); 15/10; 32pp; £1.50; 3*. 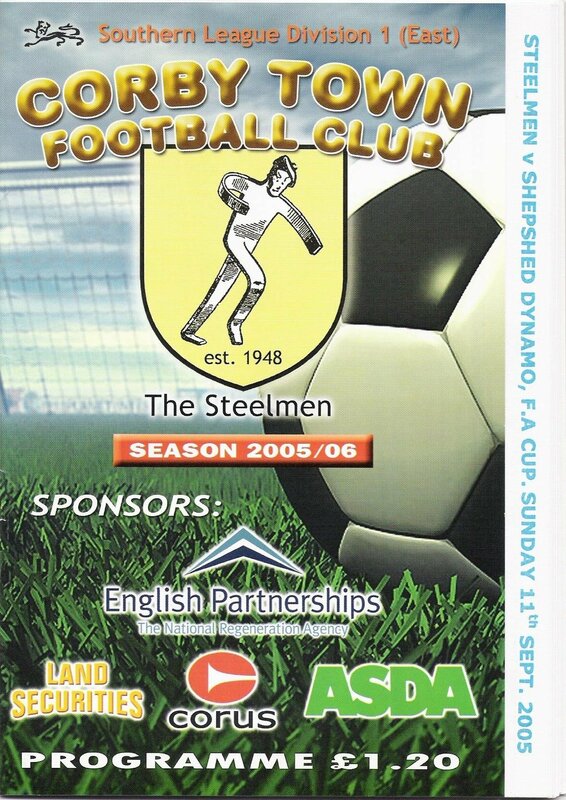 20 - Penistone Church$ (SCSL) v Yks M (CSC2); Wed 05/10; 8pp; with £2 admn; 4*. 21 - Chapel Tn$ (ManLg1) v Heywood St.J; 24/09; 20pp; 4*. 22 - Old Roan (KCFLP) v Bearsted (22/10); 16pp; £1 w/a; 3*.